Note that per 40 CFR 79.21(f) you would be required to notify the Environmental Protection Agency, Fuels and Fuel Additives Registration Program, in writing, if certain information provided in your notification were to change. 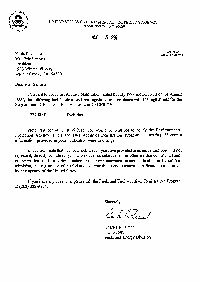 In addition, note that with your notification you have provided assurances that you will not represent, directly or indirectly, in any notice, circular, letter, or other written communication, or any written, oral, or pictorial notice or other announcement in any publication or by radio or television, that registration of this fuel additive constitutes endorsement, certification, or approval by any agency of the United States. If you have any questions, please call the Fuels and Fuel Additives Registration Program at (202) 233-9754.